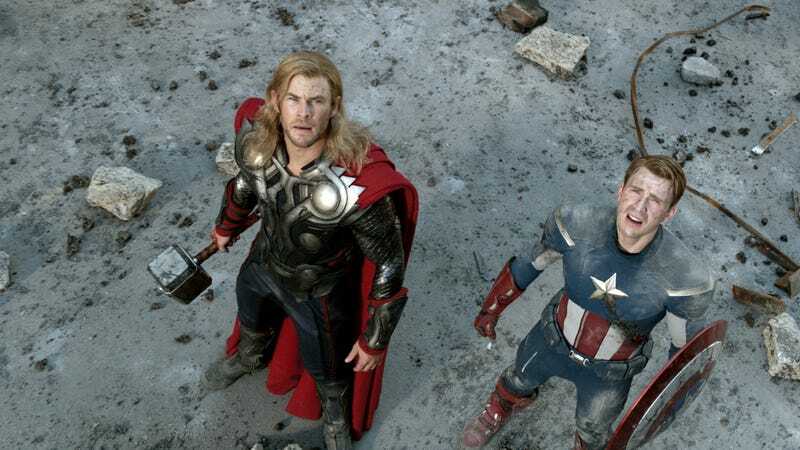 Just how many villains does Joss Whedon's Avengers actually have? Joss Whedon's upcoming movie The Avengers features all of the heroes who've already appeared in Marvel movies teaming up — but just how many baddies will the superhero team face? We know that Loki, the villain of Thor, is popping up as a major villain. And Loki apparently has an army of monsters on his side — which are rumored to be one alien race or another from the comics. Set photo via Hey U Guys. Charging straight out of theaters and onto your tabletop, Marvel's the Avengers Movie HeroClix set features heroes like Captain America and Thor as they battle the villainy of the Red Skull and Loki! Each Counter-Top display includes standard one-figure boosters as well as new three-figure "Team Packs"! Team Packs are designed with strong thematic undertones - play a Hydra force or defend freedom with a S.H.I.E.L.D. team pack!